As celebrities flock to Sundance, sporting their Canada Goose jackets and Sorel boots, our eyes won’t be on the who’s who, it will be on the who’s eating what—especially these sugary bites that will win every award we have. Los Angeles restaurant The Church Key is giving away their ridiculously delicious brown butter doughnuts to those lucky enough to be at Sundance this weekend at the Kia Supper Suite. Coated in a brown butter glaze, these cakey, cinnamony pieces of heaven created by Chef Steven Fretz are a fixture at their restaurant as a dessert. To wash down the doughtnuts, The Church Key is pairing them with the ideal cozy cocktail: a tequila-based toddy with honey, agave, lemon, cinnamon and cloves. 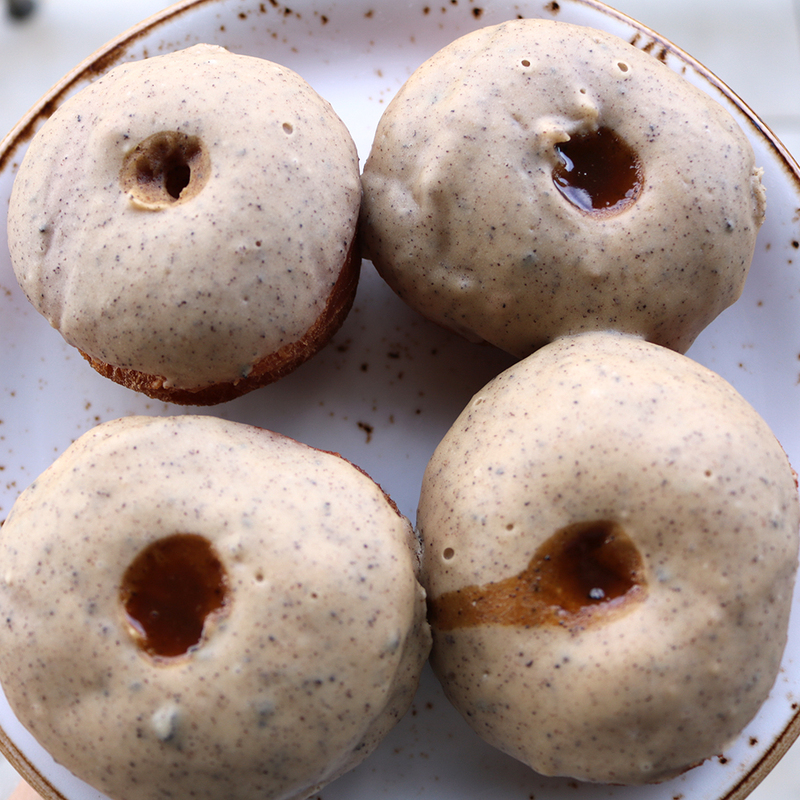 Since most of us will just be following the pictures of the actors and musicians who want to be actors walking through the snow-dusted streets of Utah instead of actually being there, The Church Key has given us access to the recipes so we can make these brioche doughnuts at home. Now do your makeup, put on your best parka, whip up some doughnuts and enjoy the snowy weekend from home. 1. Stir vinegar into milk and let stand for a few minutes until thick. 2. In a medium bowl, cream together the shortening and sugar until smooth. Beat in the egg and vanilla until well blended. Sift together the flour, baking soda and salt; stir into the sugar mixture, alternating with the milk mixture. Roll the dough out onto a floured surface to 1/3 inch thick. Cut doughnuts using a round cutter. Let stand for 10 minutes. 3. Heat the oil to 375 degrees. Fry the doughnuts until golden brown. Drain onto wired rack. 4. Over low heat in a mall saucepan, melt together butter, sugar, vanilla and salt continuously stirring. Remove from heat once sugar has melted. 5. Dip into doughnuts into glaze and serve warm. Combine ingredients in a mug, then stir and steep for one minute.